March is Women’s History Month and, to honor the occasion, we’d like to create a space for all the women history forgot. For the women who deserve a place in our textbooks. For the women whose voices should echo. This piece — just one in a series — is for them. We owe a lot to the women who came before us and paved paths where previously there were none to follow. Though not at all exhaustive, this list includes some of the Hispanic/Latinas who made their mark on history (and some who are still working to fight for important causes). It’s an ode to their work and also a means of inspiration, a call to Latinx members of disenfranchised communities to follow their own dreams and make an impact. Many of the women listed below didn’t shake things up without a little criticism from the government and the public — but they have nonetheless been instrumental in showing that women can make a difference. 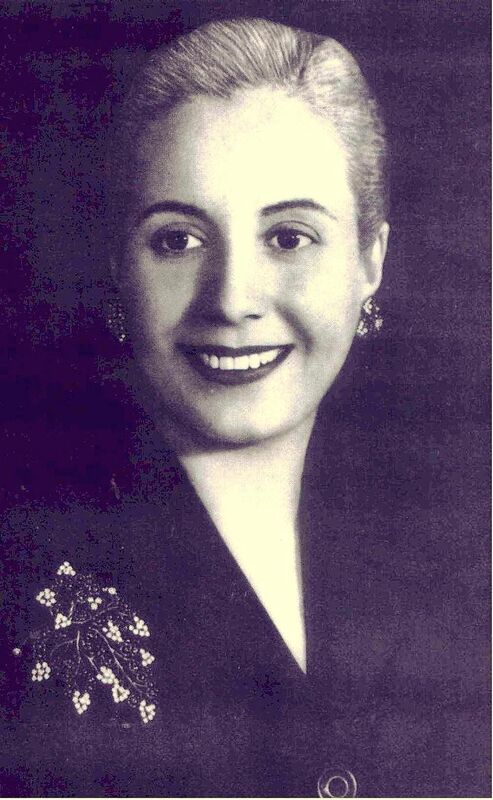 Eva Perón served as the First Lady of Argentina from 1946 to 1952 and left behind a legacy that inspired the musical Evita (which inspired the movie adaptation with Madonna as the leading lady). There’s a reason her life inspired both. As First Lady, she worked to serve the poor and those in need. One of her biggest contributions: The creation of Partido Peronista Femenino, or the Female Peronist Party. Perón was instrumental in Argentina finally giving women the right to vote. In 1951, she announced her vice-presidential candidacy, but eventually pulled out of the race. If you want to learn more about her life, you can visit the Museo Evita in Buenos Aires, where you can gain knowledge about her story and even see some of her outfits (she also happened to have impeccable style). 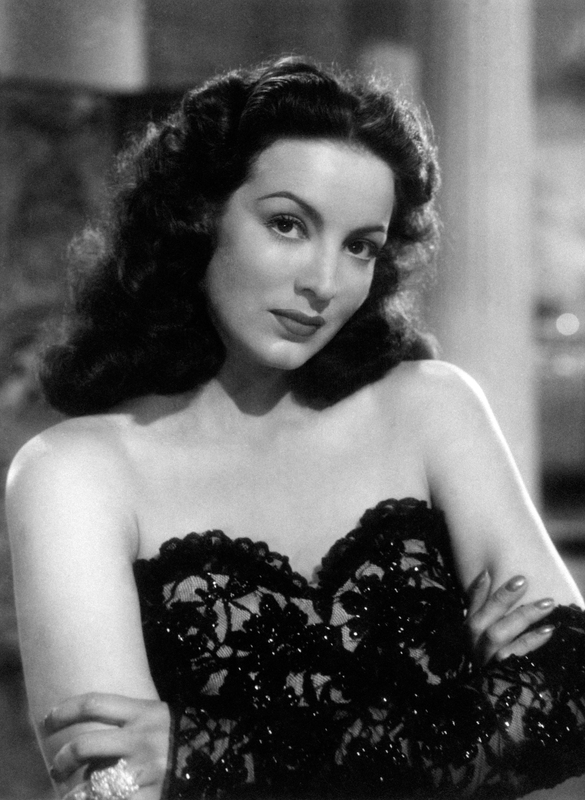 In a 2002 obituary, The Guardian called Mexican actress María Félix “the incarnation of the strong, sexual woman, who would, nevertheless, be tamed by machismo by the end of the movie.” In the 1940s, Félix became a movie icon — even though she operated within a patriarchal time for movies, she made her presence felt. Just take for instance some of the movies she starred in like Doña Diabla (“The Devil is a Woman”), La Mujer Sin Alma (“The Woman Without a Soul”) or La Devoradora (“The Devourer”). She was notorious for refusing to work in Hollywood because she didn’t want to take on stereotypical roles. In 1993, she published the autobiography Todas mis guerras. 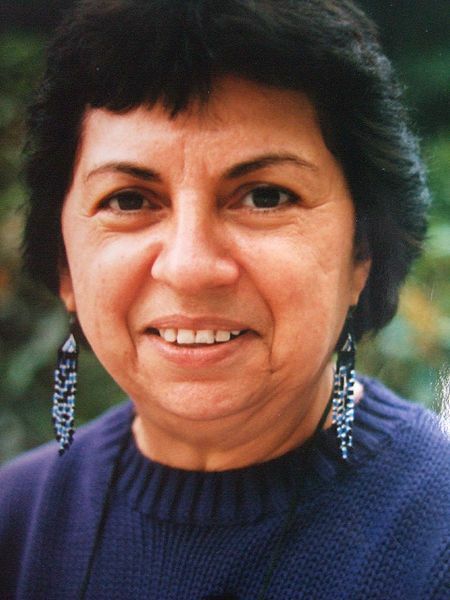 Gloria E. Anzaldúa served as an important icon for queer feminists of color. She wrote beautifully about identity, known most widely for her essay “La Prieta” and books like Borderlands/La Frontera: The New Mestiza. She was also an editor for an important text called “This Bridge Called My Back: Writing By Radical Women of Color,” which won the Before Columbus Foundation American Book Award. In 1991, she won a National Endowment for the Arts creative writing fellowship. Her legacy lives on in awards such as the American Studies Association’s Gloria E. Anzaldúa Award for Independent Scholars. For 45 years, Pure Belpré worked for the New York City Public Library with a mission: To diversify the audience the library was reaching. As the first Latina librarian there, she realized the need for programming, but also for more diverse literature. Then, in 1932, she wrote her first children’s book. Most people know about Dolores Huerta through her work with César Chávez, but her story is about so much more. Huerta founded the Agricultural Workers Association, even before she joined forces with Chávez to create the National Farm Workers Association. Her efforts led to the establishment of the federal assistance program, Aid to Families with Dependent Children (AFDC), and helped establish the Agricultural Labor Relations Act. In 2012, President Obama awarded her The Presidential Medal of Freedom. Now in her 80s, Huerta still fights for important issues like immigration, healthy eating, and more. Earlier this year, Sundance made the Dolores film an official selection. 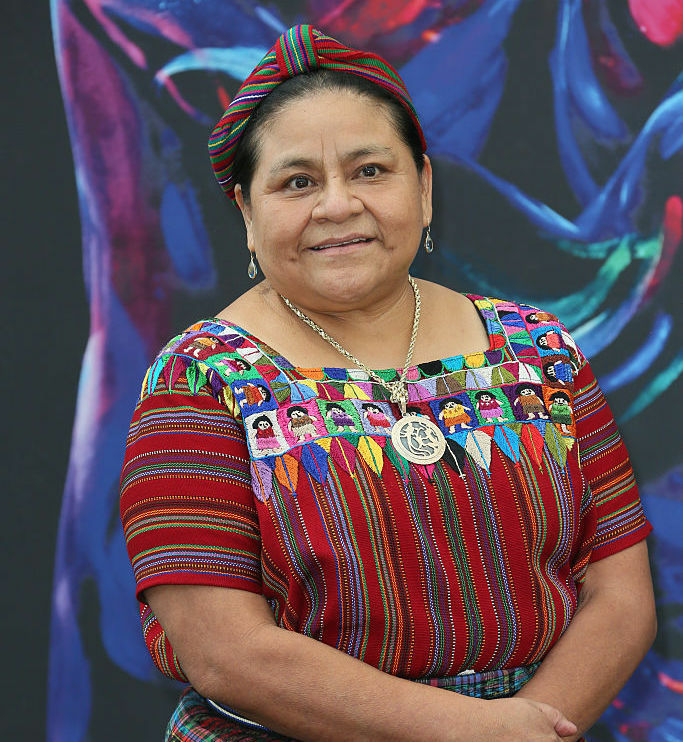 1992 Nobel Peace Prize winner Rigoberta Menchú Tum grew up in the Quiché culture, a Native branch of Mayan culture in Guatemala. She and her father belonged to the Committee of the Peasant Union to defend their land (Mayan communities were being displaced once the Guatemalan army took power in 1954). Menchú lost her father, brother, and mother to army and security forces. 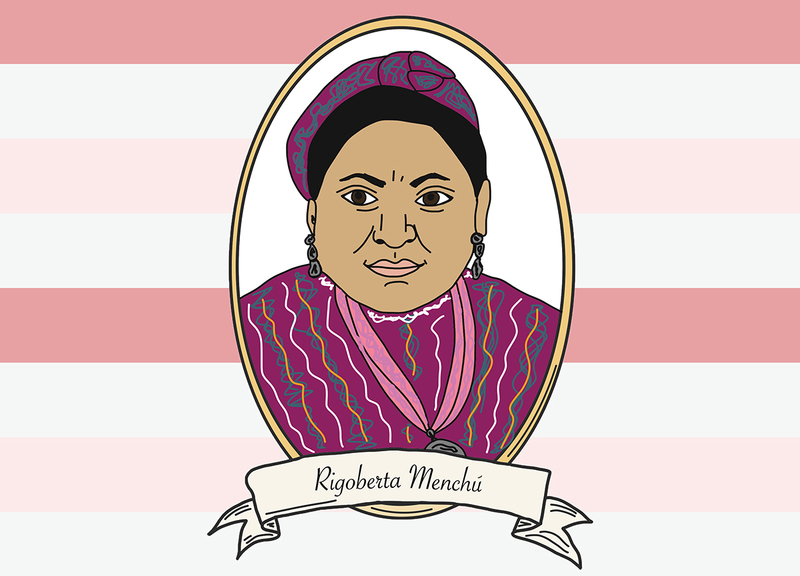 She went on to advocate for the rights of women and Native peoples, and formed the first indigenous-led party WINAQ. Today, she still advocates for the rights of indigenous people, actively speaking to many audiences about the topic. 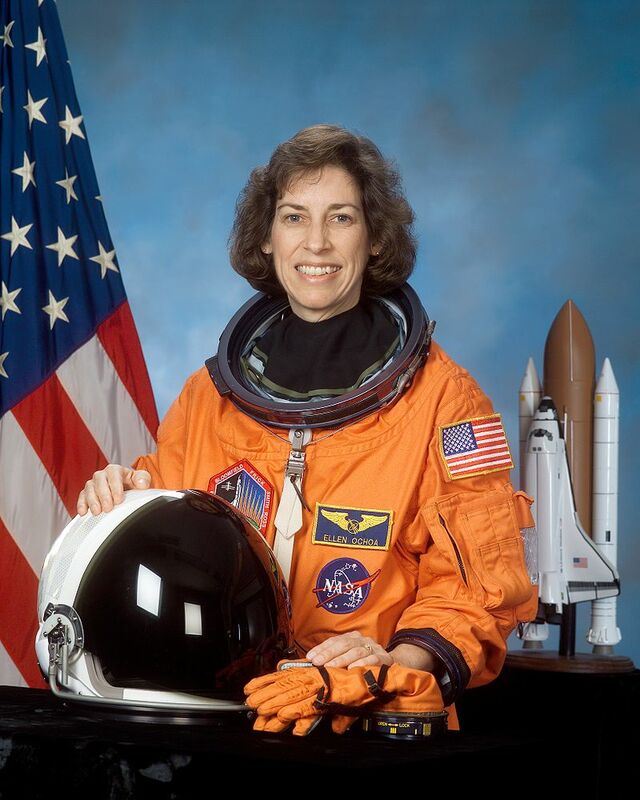 In 1993, Dr. Ellen Ochoa made history as the first Hispanic woman to go into space for the STS-56 mission on the Discovery. That momentous event is so important for inspiring young Latina girls with big dreams. Ochoa continues to make her mark as the director of the Johnson Space Center, where she is the first Hispanic director and only the second female director. And one more thing: She has three patents. In 1989, Ileana Ros-Lehtinen became the first Latina women to serve in the U.S. House of Representatives. 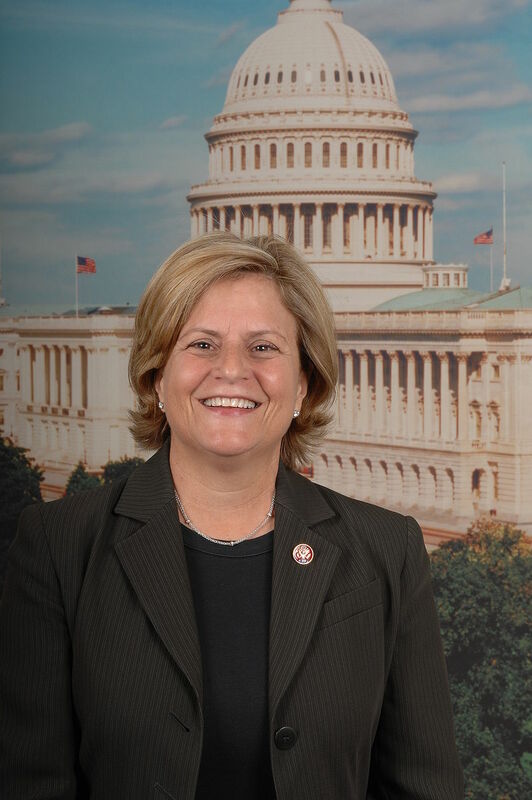 Born in Havana, Ros-Lehtinen has worked to support causes such as the Violence Against Women Act. She was instrumental in passing the Women Airforce Service Pilot Arlington Inurnment Restoration Act, which meant that Women Airforce Service Pilots (WASP) would fully receive the military honors they deserved. Ros-Lehtinen isn’t without her critics and has been in the news recently for her views on health care. A provocative and iconic artist, Cuban-American artist Ana Mendieta is a major figure in contemporary art history. Best known for her photography work in nature (like the iconic “Tree of Life” image from 1976), Mendieta also worked in performance art, video, painting, and more. Mendieta worked closely with the body; she was unafraid, often using blood in her pieces to challenge viewers to think more closely about violence against women. Mendieta met an untimely death, but her legacy lives on in the path she created for feminist artists.